On Saturday, February 7th, members of the Edmund Ruffin Fire-Eaters, Camp #3000, SCV attended and participated in a memorial service to honor the anniversary of the birth of General James Ewell Brown Stuart, sponsored by Knibb’s Battery and J.E.B. Stuart Camp #1343 of the Sons of Confederate Veterans. 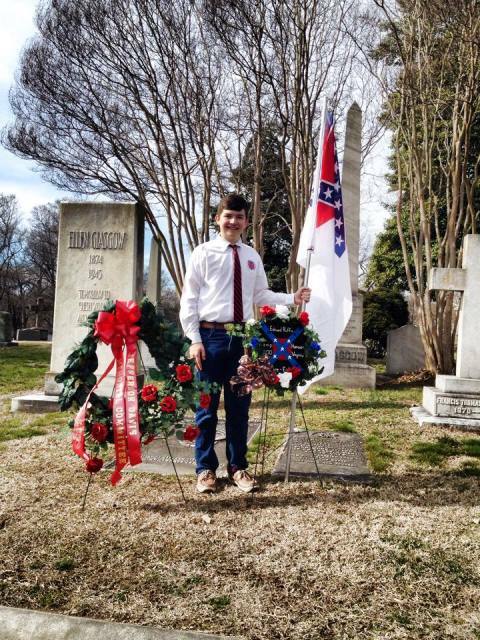 Compatriot Patrick Seay laid a wreath on behalf of the camp at the grave of General Stuart, at Hollywood Cemetery in Richmond, VA.
CompatriotsIt’s that time of the month. Please send your contributions to the camp’s next newsletter to Karen Cooper. Types of info you may want to send are: quotes, pictures, event dates, project needs and/or status, minutes of the last meeting, speaker information, color guard and southern heritage issues. Karen requests all information be sent by the 14th so she can send the newsletter February 20th. Thank you for all of your support and contributions. Our Fire Eaters were out early this morning armed with clean up gear to attack our designated stretch of highway for clean up. The crew made short work of the job, receiving many honks and waves as they worked. 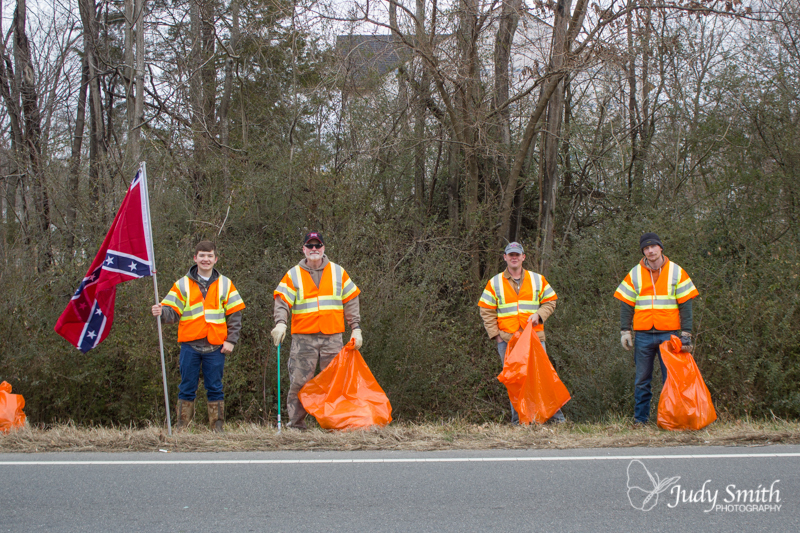 Before our next clean up VDOT will be installing signage stating that this section is cared for by the Edmund Ruffin Fire Eaters SCV Camp #3000. The vote on whether or not to cancel the Lee-Jackson holiday in Charlottesville will be held on the next regularly scheduled City Council Meeting, Tuesday, February 17th. We hope that if you have not done so already, you will contact members of City Council and share your feelings about their plan to remove the Lee-Jackson holiday, regardless of the likely outcome. We will plan on being in attendance for the final vote, whether or not we are given the opportunity to speak, and encourage anyone to join us who is able. A public hearing this Monday night in Charlottesville, Virginia, to consider removing the Lee-Jackson holiday as an official holiday in the City.